Sussex Bathroom and Shower Showroom. The Crowborough Bath Shop. Look no further than the Crowborough Bath Shop. Your local independent bathroom retailer. Can't decide where to start? 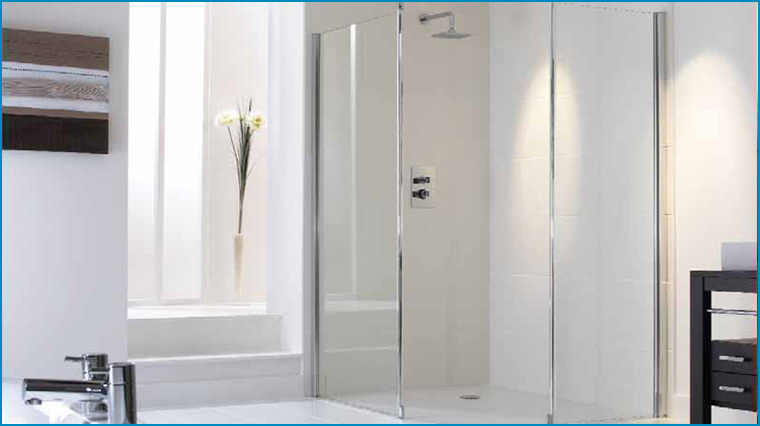 Looking For a New Shower Room? Your local independent shower room retailer. Happy with Your Current Bathroom? Experts in discontinued sanitaryware supplies. "As an independent bathroom retailer free from the restraints of the big chain-stores, the Crowborough Bath Shop offer a service tailored to each individual customer." Try our new online Wishlist before you come to store. We firmly believe that your bathroom should be designed with you, for you, in fact your bathroom should be as unique and individual as you are. Tall people may need tall basins, busy bathrooms may need two basins, and poor backs need higher loos, and of course, everybody wants easy to clean. 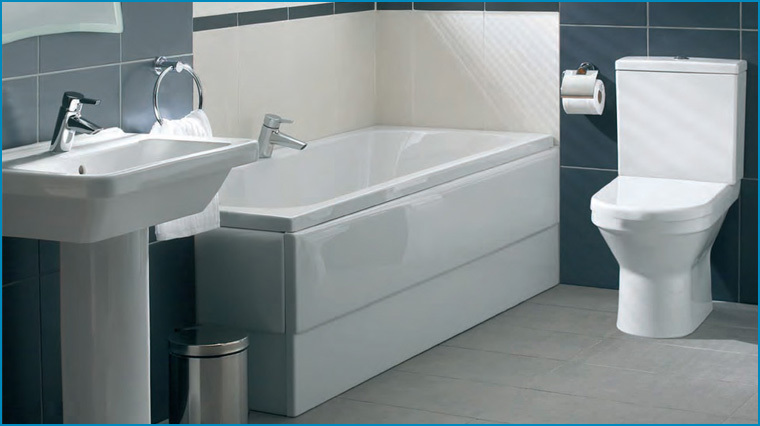 Only as a independent sanitaryware supplier can we offer such an extensive choice of manufacturers ranges - in fact so large our showrooms cover three floors. No home is complete without a shower. Available in various sizes and shapes, quadrant, alcove, rectangle to name just a few. The possibilities are endless, what ever your choice of new shower, on-suite, or downstairs cloakroom, contact us today. Why not pop in and gain some ideas and inspiration. We'll help you with the planning and the style of your bathroom or shower, and answer all of your queries and your technical questions. 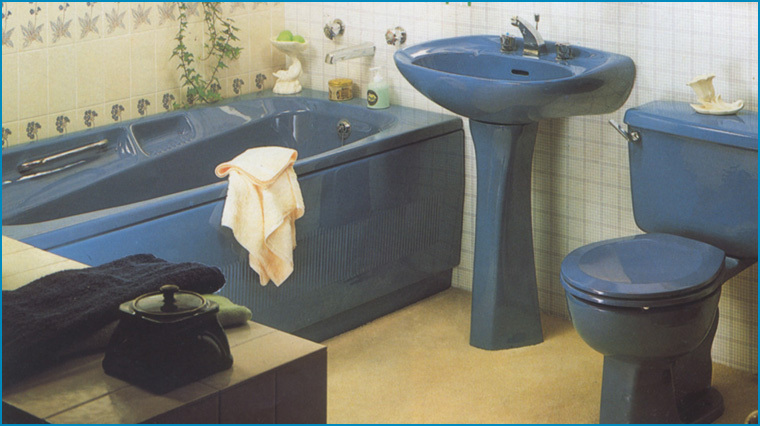 Many older bathrooms were supplied in a vast range of colours and designs. Replacing a damaged item? We may well be able to help you. We are recognised by many plumbers and insurance companies as experts in the correct identification and supply of obsolete coloured bathroom ware. With our extensive back catalogue, reference library and many years of experience, we are considered experts in this field. "Baths allow you to make the most of a long, luxurious leisure experience, or if you prefer, a practical washing exercise."